$11.95 /LB All Day, Dine in only. 20 wings $12.95 Dine in or to go OR All you can eat wings for $3 more, dine in only. 10 Boneless Wings & Fries with Dressing only $9.49, kids 12 and under eat for .99 with purchase of adult entree. ½ Price Shrimp, steamed or buffalo style. $3 Margaritas! 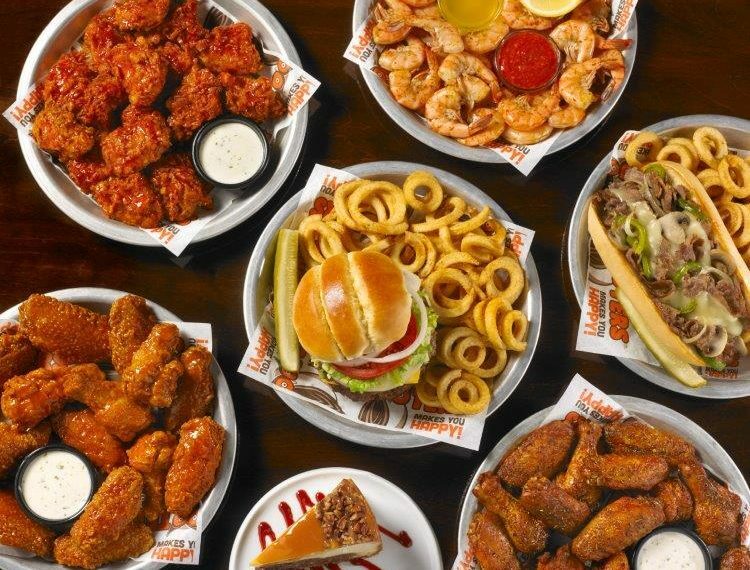 ½ Dozen Bone in Wings any style with Fries and Dressing only $7.99!